Learn professional ice carving skills in 5 Days! This program is a pre-requisite for the Masters Program (CMIC). 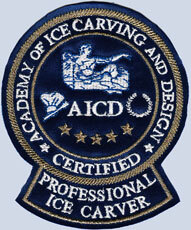 This program provides comprehensive one-to-one, private instruction for career ice carvers. It also meets the needs of commercial ice carving companies by equipping ice carvers with a broad range of skills needed to safely create custom designed, high-end, multi-block ice sculptures and multi-color engraved logos. Providing far more instruction than what mere demonstrations of complex carvings can provide, Paul Germain's totally immersive, one-to-one, hands-on training techniques and real life applications make even the most detailed features of AICD's fascinating instructional programs come to life. Paul's break through methods of training prove to be nothing short of contagious for highly motivated chefs, culinary instructors, and professional ice carvers who want it all - their testimonials then say it all! by those who value the best. Plus, it provides highly motivated ice carvers the advanced skills and knowledge most requested by prospective employers in the commercial ice carving industry who need employees that are capable of profitably selling, designing, carving, and safely delivering/setting up high-end, handcarved, custom multi-block ice carvings. ...in 5 Days (40 hours) of Private Instruction! Note: To maximize your time during instructional hours, you will also be provided approximately 20 additional hours of drawing/design oriented work that is to be completed at your hotel. Thus, your training will provide "total immersion" in the art of ice sculpting. This intensive program of private instruction is available year-round. Reservations are available up to one year in advance with paid tuition. your particular travel needs - such as flight arrival/departure times. as private instruction is tailored to your needs and experience. AICD's comprehensive Certified Professional Ice Carver (CPIC) Program features five consecutive days (40 hours total) of intensive instruction that is divided into 30 hours of private instruction and approximately 20 hours of offsite design oriented coursework (to prepare for each day's carvings). Our proven "total immersion" approach to individualized instruction is ideal for professional chefs and ice carvers from the United States and around the world who value the optimal use of their time, energy, and level of experience. "A wealth of knowledge. Covers all aspects of starting an ice carving business. Your experience and stories that you share are priceless and cannot be found in any books. Also respect the fact that you let me make mistakes to figure it out on my own, but were there for help and assistance and all the answers. Also opened my eyes to art and the confidence that anyone can draw. I will never look at drawing the same way again." AICD also offers a special training opportunity for students traveling a long distance. Due to the time and cost of traveling long distances to attend AICD, students have requested that we combine an additional day with the complete Professional Program while they are here. This has proven to be very beneficial for students, both in developing additional skills and in saving money. Plus, the extra ten hours of instruction will be added to your CEH’s on your CPIC certificate. Due to AICD's proven "hands on" approach to comprehensive instruction and its stature as a private school, you can earn each level of AICD Certification for life with no certification fees, no yearly fees, and no membership requirements. To maintain the integrity of AICD's educational programs, activities such as attendance at conventions, competitions, and related activities cannot be counted for receiving AICD Certification. A carver's unique experiences may, however, qualify as the prerequisite for enrolling in AICD's advanced instructional programs. Let me begin by stating that my research, time, and effort paid off! By contacting the ''best'' in the culinary field, the Culinary Institute of America, I was referred to only the best! To take on the challenge of learning a whole new platform in my profession, compromising my instruction was not an option. As an Executive Pastry & Sous Chef, adding Ice Carving would only enhance my career. Being taught by the # 1 top recommended instructor, I couldn't fail personally or professionally! I can proudly say with taking your Certified Professional Ice Carver (CPIC) Program, I exceeded all my expectation's! The intense physical and mental training I received during my visit can only be described as a once in a lifetime opportunity - one that every Chef should have in his or her career. As the old saying goes, ''You get what you pay for.'' My company paid for the best, and without any doubt, received the best. Completing your program has given me the confidence and ability to set new goal's, tapping into my artistic creativity. I had such a wonderful experience in such a short time - your hospitality, easy going atmosphere, and most importantly, your patience to teach any Chef who has a passion to be challenged on every level. Thank you again for making all thing's possible. I look foward to seeing you and Robin again when I complete my next level in your program! Your knowledge is priceless and I'm deeply greatful that you offer it to other's." Be sure to read what chefs and career ice carvers have shared about their experience at AICD. ultimate "hands-on" experience for achieving mastery of each objective! ...the list of topics and techniques goes on! Based upon the student's previous art training (whether beginning or advanced), offsite coursework is individually developed to meet the particular needs of each student in order to make his or her preparation for the next day's instructional activities as beneficial and enjoyable as possible. Textbooks, drawing aids, clay, modeling tools, and other materials are furnished upon arrival at AICD for this offsite coursework. Our Certified Professional Ice Carver (CPIC) Program is designed to teach a broad range of safe ice carving skills, art skills, and technologies needed by professional chefs, culinary students, and ice carvers in order to meet the modern ice carving needs of the hospitality industry. Ice carving instruction includes hands-on experience with many of the most advanced and celebrated techniques used by professional ice sculptors around the world today. This remarkable program provides one-to-one personalized instruction that is tailored for each student's experience and future objectives. Private instruction ensures that student carvers of any level receive far more actual training and individual guidance than is possible within group ice carving classes. It also provides a much safer and more productive learning environment for developing the advanced art skills needed for highly realistic and creative multi-block construction. Comprehensive ice carving instruction is condensed into a four-day program. This incredible value is ideal for meeting the needs of ice sculpture companies, culinary schools, hotels, country clubs, caterers, and restaurants. Our private, one-on-one instruction is available for highly motivated ice carvers who want to advance at a rate that is optimum for their learning style, skill, and level of experience. Private instruction can be adapted to suit the individual carver's schedule. for NICA's and ACF's certification programs, which are independent of AICD. 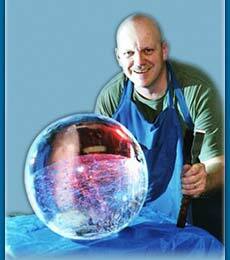 The art of ice carving involves the use of tools and equipment that are inherently dangerous. To meet the safety-related needs of professional ice sculpture companies, ice carving schools, hotels, country clubs, and caterers, a high priority is given to the development of safe carving, delivery, and set-up practices. This program requires that the carver be in excellent health, and must be physically able to work with heavy materials and equipment for prolonged periods of time in both warm and cold environments. The ice carving industry is growing at a phenomenal rate in the U.S and around the world. AICD is dedicated to providing the most comprehensive ice sculpture training possible for ice sculpture companies, hotels, caterers, country clubs, and culinary schools seeking to employ highly qualified, professionally certificated chefs, ice carvers, and sales associates.